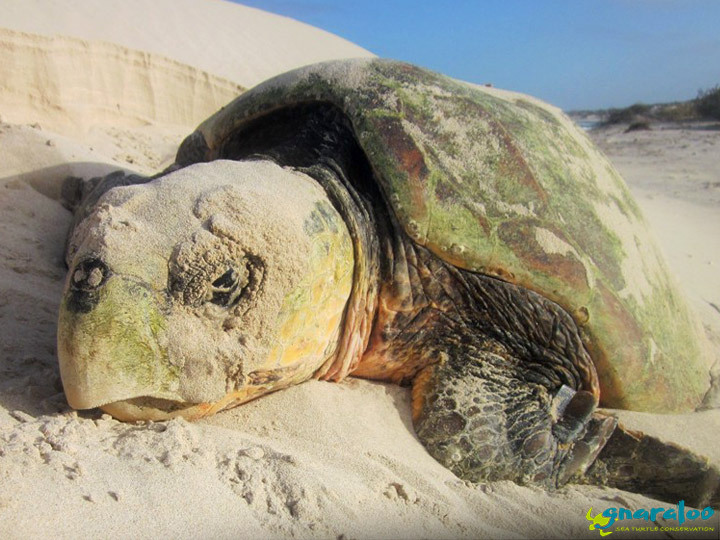 Female loggerhead turtles usually spend the length of the nesting season (November to February) either nesting or in inter-nesting zones just offshore of the beach. This zone allows females to ovulate numerous clutches (sometimes up to seven!) in protected areas like Gnaraloo Bay and Gnaraloo Cape Farquhar. Nesting zones are one of the only life cycle stages that are well studied, because it is easy to census beaches that are known to have nesting females. The mystery, however, is what happens during the turtles’ migration period. Science suggests loggerhead turtles migrate to adult foraging grounds in the years between mating and nesting. These foraging grounds can be found all over the world, but we have discovered that Gnaraloo turtles are particularly fond of certain places in particular. The satellite tagging program at Gnaraloo has given us an incredible insight into where our turtles go to forage after nesting. Five of the loggerheads that we tagged during the season 2015/16 ventured south of Gnaraloo to Shark Bay, Western Australia, and the other five turtles from that season went north as far as the Northern Territory, with the sad demise of the turtle Marloo. The two satellite tagged turtles from the season 2017/18, Gnargoo and Baiyungu, migrated separately to the same foraging grounds in far north western Queensland. Adult foraging grounds are coastal regions with depths of 50 – 60 metres dominated by seagrass beds and the crustaceans among them. Australian seagrass beds are some of the most diverse in the world with over 30 different species of grasses found in communities along the coastline, so there is no surprise that our turtles love these areas. Loggerheads are mostly carnivorous, meaning their main diet consists of crustaceous proteins found in seagrass beds. Unfortunately, many of these seagrass habitats have been subject to dredging in the last decade. The objective of dredging is often to increase the depth of ocean passageways for larger ships to pass through. 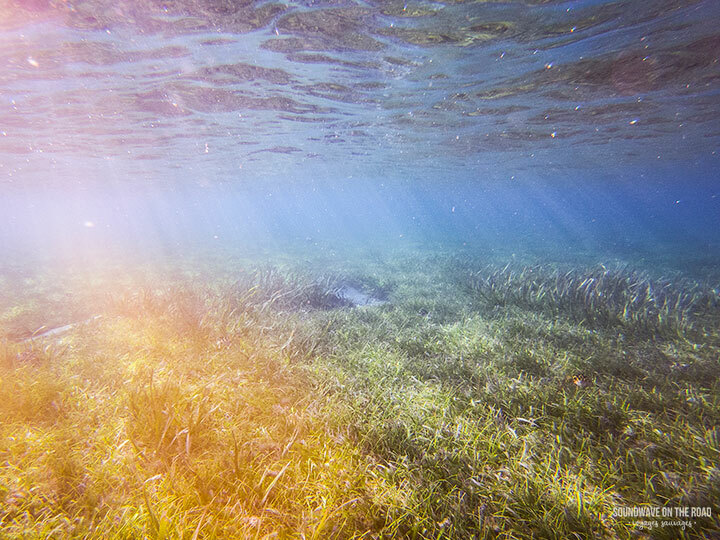 Because of this, seagrasses are getting torn out of the ground and smothered by additional sediment in the water, while the surviving plants are left to grow in areas that become too deep for light penetration. Many seagrass habitats are not monitored and, even the ones that are, have very little legal protection. It is so important to link these seagrass beds to their primary inhabitants, sea turtles. Sea turtles are highly migratory and, although nesting beaches receive a lot of attention, this does not mean that the species is protected. 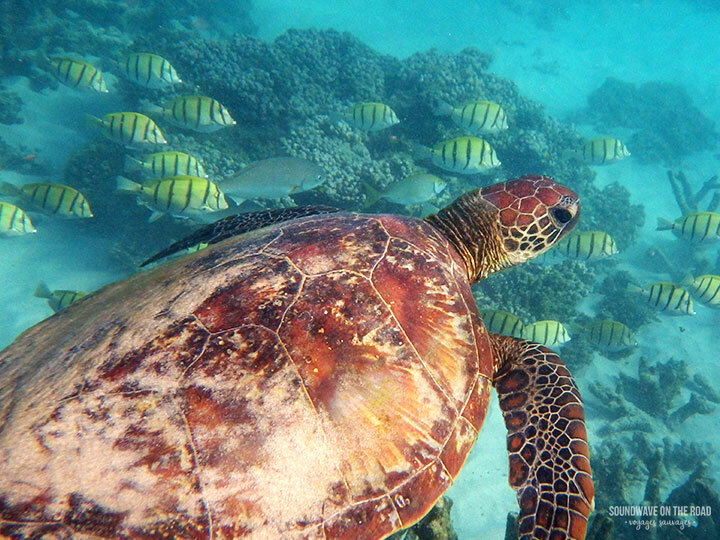 Adult foraging grounds, like seagrass beds along the Australian coastline, as well as the migration routes of turtles must also be studied, patrolled, and protected in order to conserve sea turtles as a whole. It is commonly known that turtles return to nest at the beach in which they were born, and that only an estimated 1 in 1,000 – 2,000 turtles on the Ningaloo Coast survive to sexual maturity. 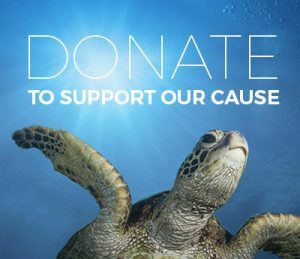 Due to the thousands of kilometres that sea turtles travel between their foraging grounds along the coastline and their nesting beaches, and the many obstacles and threats they face, it is nothing short of a miracle that they make it back to their natal beaches to breed and nest again. 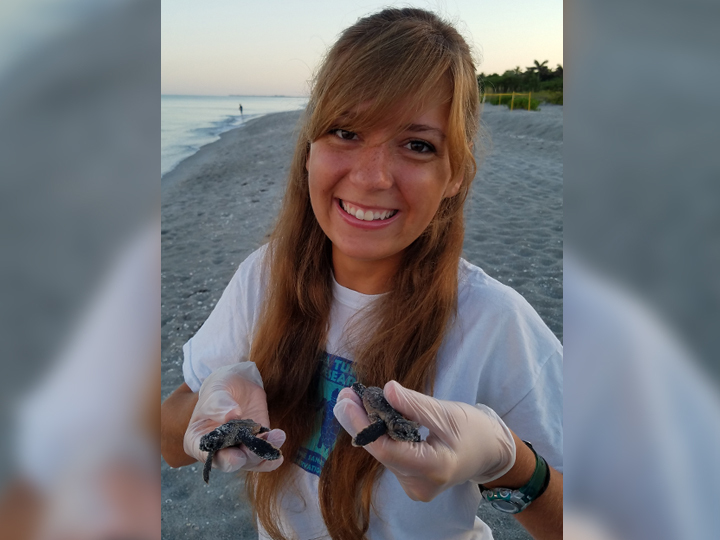 While there are innumerable reasons sea turtle life cycles are cut short, the GTCP is proud to continuously and safely host returning females for nesting each season!